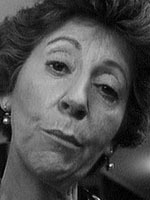 Mildred Clinton appeared in several small film roles as well as appearing in the TV Soap The Edge of Night. Mildred Clinton (November 2, 1914 – December 18, 2010) was an American actress. She had her first film role in The Trapp Family in America (1958), and later appeared in Sidney Lumet's Serpico (1973), In 1976, she appeared in a lead role in the low-budget horror film Alice, Sweet Alice. Clinton also worked in theater, appearing in a minor part in a 1954–1955 Broadway production of Quadrille, and as Miss Sullivan in The Wrong Way Lightbulb in 1969. In addition to film and theater, Clinton had a recurring role as Judge Sussman on the soap opera The Edge of Night from 1975 to 1976. In her later career, Clinton appeared in several films by Spike Lee: Crooklyn (1994), Summer of Sam (1999), and Bamboozled (2000), the latter of which was her last film credit.